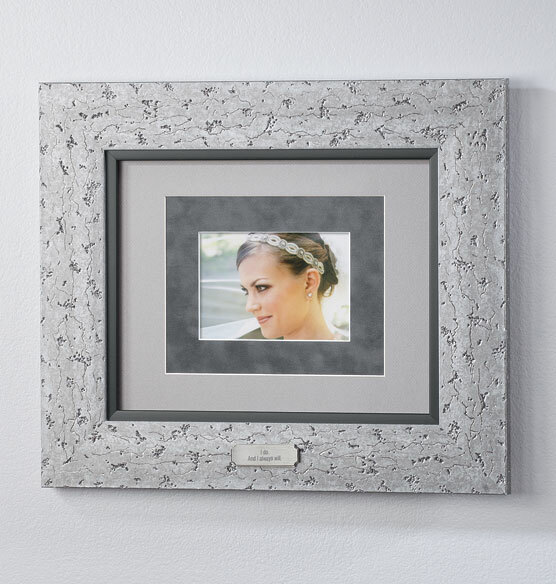 Sleek lines and a personalized plaque make this custom triple mat contemporary nickel frame the perfect choice for displaying a milestone portrait in classic or modern décor settings. 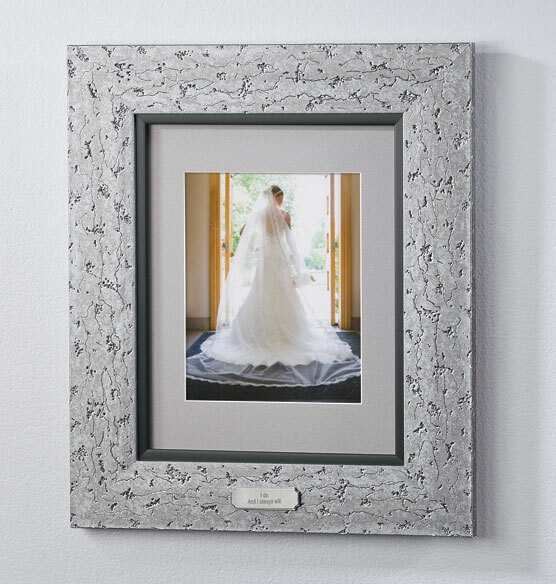 Wedding, anniversary or other event photos will shine inside the picture frame. 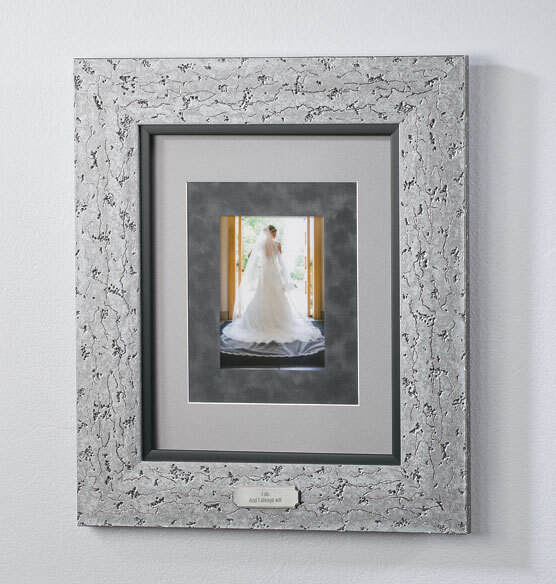 Commemorate the details of the special day with the included personalized nickel plaque. 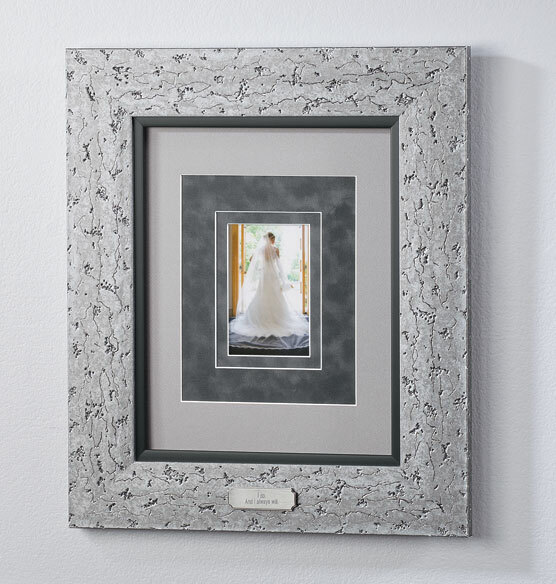 Made with close attention to detail, the custom frame offers the flexibility to display four different sizes of photos. It can hold an 8" x 10", 5" x 7" or 4" x 6" photo with one of the three included mats, or an 11" x 17" photo without a mat. Size is good and looks great. Modern looking frame. Different size choices in one frame.